Security professionals know that effective endpoint protection calls for a layered, defense-in-depth approach. But today's endpoints demand even more. Endpoint security now requires a new way of thinking that goes beyond just battling threats to actually enable operational improvement. 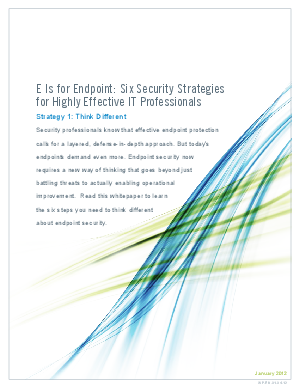 Read this whitepaper to learn the six steps you need to think different about endpoint security.